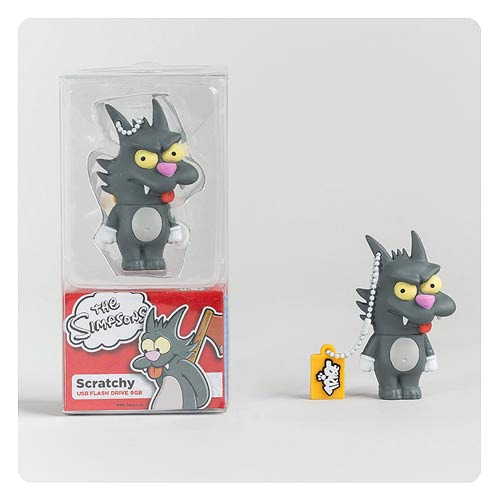 Take your important data and the popular The Simpsons TV series with you with this adorable The Simpsons Scratchy The Cat 8 GB USB Flash Drive that features 8 GB of storage, a cap holder, and a chain. It doubles as a key chain too! USB flash drive is approximately 2 1/2-inches tall! Ages 14 and up.